2013 is here and almost everyone is getting ready to set New Year’s resolutions. However, by February each year, all of these very sincere decisions to make changes in our lives seem to just vanish. Why do a lot of these heartfelt resolutions never come to fruition? Quite often, this is because, they remain nothing but promised statements to ourselves. Promises that never take place. Because we do not put a definite plan in action to carry them through until the end. A plan must be put into plain sight from start to finish, in order for these resolutions to become a reality. That’s why you should turn your resolutions into goals. Yes, it may take a little more work to think through the implications of why you want to focus on that goal, what milestones will mark your progress, and how you will ultimately achieve it. But that is exactly what makes the process so useful. 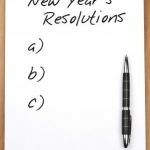 So, with all this said, before you start to draft out a list of your resolutions for 2013, write down what you have achieved this year. You may be very surprised of how much you have achieved so far without even realizing it. When you set these goals for yourself, they are not meant to be a one-time thing, they need to be focused on monthly, weekly and even daily. So set your goals today. Write them down. Read them loudly and proud. From there you can set smaller goals which can either be progress markers towards achieving your ‘big’ goals, or separate ones all together. It’s all up to you. You can start out with making a yearly plan at first, then a six-month plan, then a monthly plan. Also try to break them down into categories - career, relationships, spirituality, personal growth, health, finances, creativity, education, travel. – Make sure they are realistic, achievable and measurable. Your goals should be attainable and believable to you that can be measured. That way, those are goals and not simply dreams. What do you really want to improve/change/attain in your life? Be very detailed and specific. Answer various questions such as “How will I achieve this goal? “When will this goal be achieved? “When can I tell that I have achieved this goal for myself?” When you are able to answer each of these questions honestly and clearly. An example of a measurable goal is to lose 10 pounds by April 1st, so you can do the professional photo shoot, which you have always wanted to do. So, just how will you lose this weight? Hiring a personal trainer may be just the way to go. Right? Well, this is a measurable response to a goal. Part of making it happen, is finding a way to measure it. Accountability to yourself is everything. So be sure to announce your goals here, on Facebook, share with your friends and family. You can even hire a mentor. Sometimes, we all need a bit of help, so don’t be afraid to reach out for help. 1. Avoid GMO foods, MSG and artificial sweeteners. Good health begins with good nutrition. Genetically modified crops destroy the ground in which they’re grown, damage natural environmental life cycles and cause a variety of nutritional deficiencies and digestive disorders. The most common GMO crops are corn, soy and canola, so do your best to avoid them. Monosodium Glutamate, or MSG, and artificial sweeteners may make foods taste better; but they’re neurotoxins that contribute to a wide range of diseases. Artificial sweeteners have been associated with various cancers as well as insulin and other pancreatic disorders. Opt-in for raw honey, liquid stevia, raw or palm sugar. Supporting local growers and artisans supports the community which you live in. Visit farmer’s markets, get to know the people that grow your food. Try to eat as many organic foods as possible as they provides natural nutrients to sustain life and build healthy immune system. Integrate organic foods into your diet throughout the year until it becomes a primary eating style. Regular exercise has a world of health benefits, including making your bones, muscles and entire body stronger. Physical activity is essential for a strong immune system as well. Thanks to the beneficial hormones and pheromones produced when we exercise, it also makes us feel calmer and happier and is a wonderful way to relieve stress and tension. Mother Nature has all the answers. “The Father of Medicine”, Hippocrates said, “nature is the physician of man”. Stop treating the symptoms and treat the root cause of the disease. Avoid getting trapped into managed-for-profits illness and ever increasing medications which can lead to many unhealthy conditions. Start looking first to natural healing, as mankind has done for millennia. You have surely heard the term “stress is a silent killer”. It’s true! 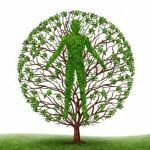 Stress causes illness and prevents body’s healing abilities. Do whatever it takes to remove stress from your life and change your mental outlook. Meditation, exercise, yoga, spending time with family and friends, doing what you love are all helpful. And don’t forget to smile as smiling relieves stress, boosts the immune system, lowers blood pressure and releases endorphins that act as natural painkillers. Make a list of five things you’re grateful for each day for 21 days. After that you will form a habit and it will become a part of your life. Learn to appreciate what you have rather than focusing on what you don’t have. Experiencing gratitude provides grounding, shifts the mind’s focus and creates a sense of satisfaction and contentment. 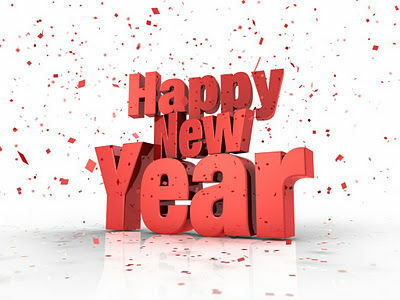 It is time to make 2013 your healthiest and happiest year yet! Be bold and proud! Leave a comment below, post on our Facebook page, and share with your friends by telling us 3 goals you’ve achieved this year and 3 goals you’d like to achieve in 2013! 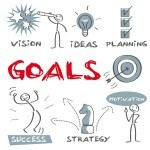 Kicking Goals, Making Goals, Planning Goals, What Good Are They Anyway!!! 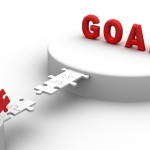 Goal Setting: Why Don’t We Succeed?